Responding to the requests of youth-serving departments and organizations in the City, the Cambridge Women’s Commission developed Identity, Relationships, and Media: An activity guide for Cambridge’s youth-serving programs to address gender and gender stereotypes through the lens of identity, relationships, and media for middle and high school age youth. 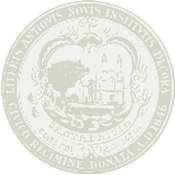 In order to build a more resilient, healthy Cambridge, many of our local youth-serving organizations have taken on the responsibility of meeting the social and emotional needs of youth in their programs, leading them to discuss larger and often difficult social issues that affect their youth: race, gender, sexuality, and abuse. Recognizing that identity is intersectional and complex, the Commission emphasized a holistic approach for each one of the activities. 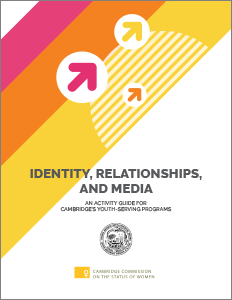 The activity guide also includes a section devoted to gender-focused programs in Cambridge as well as additional resources for youth workers and for youth.